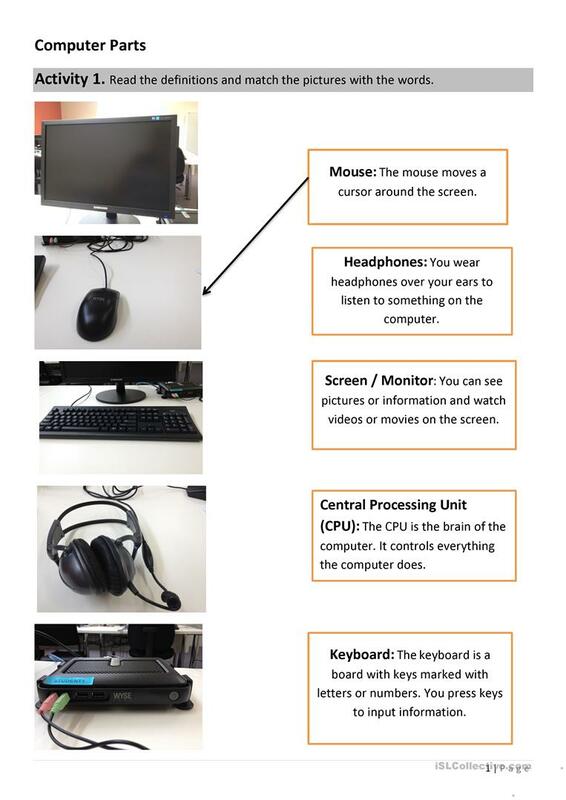 Teaching the computer parts, computer class rules. 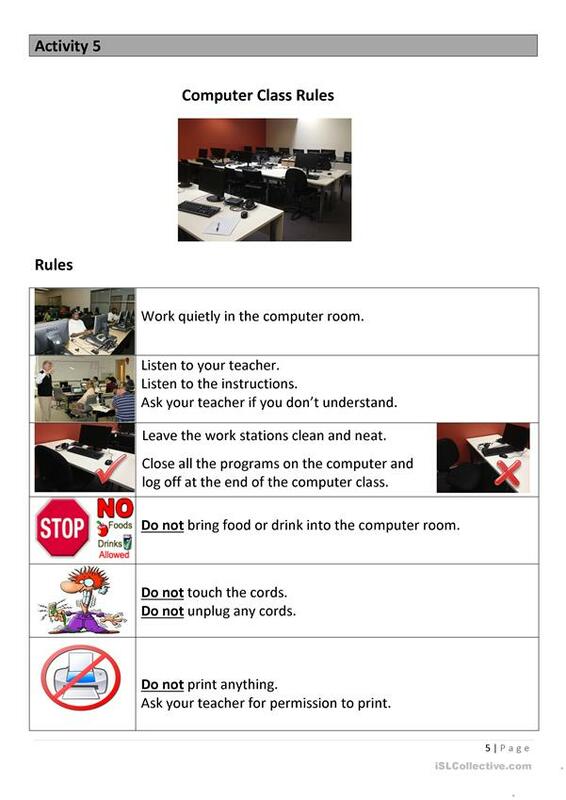 Computer class rules with pictures. 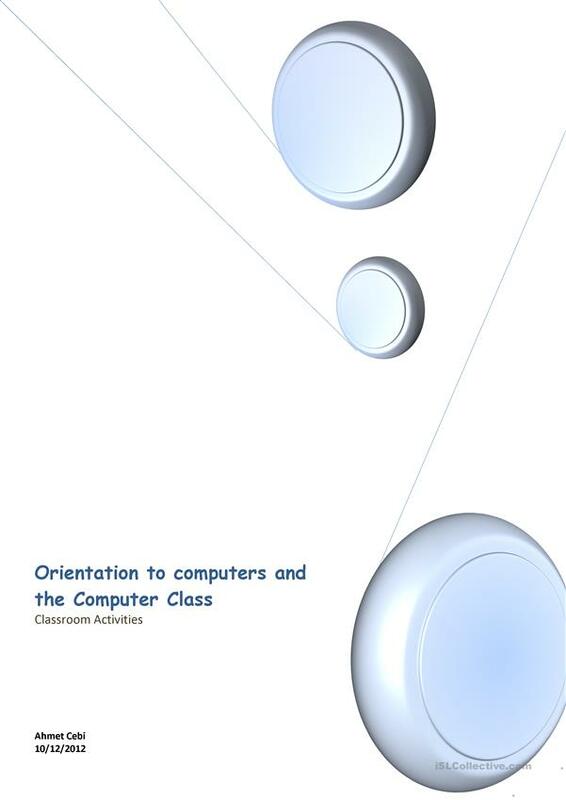 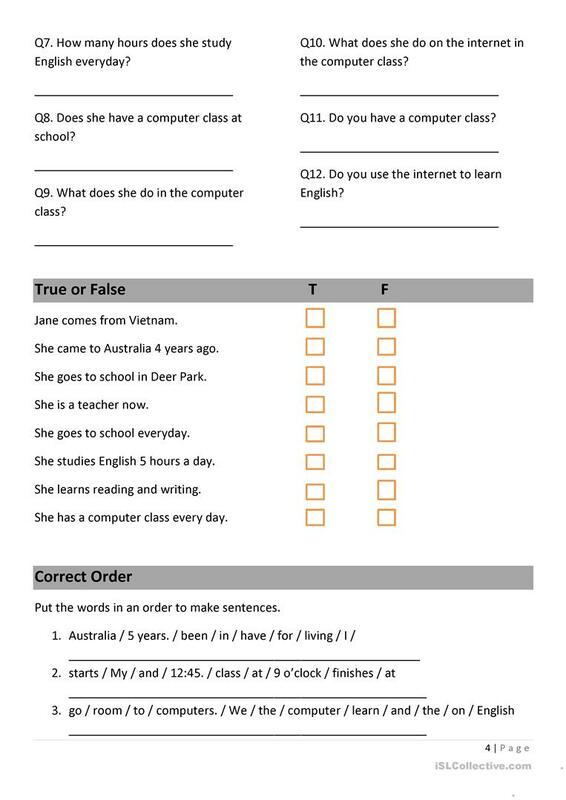 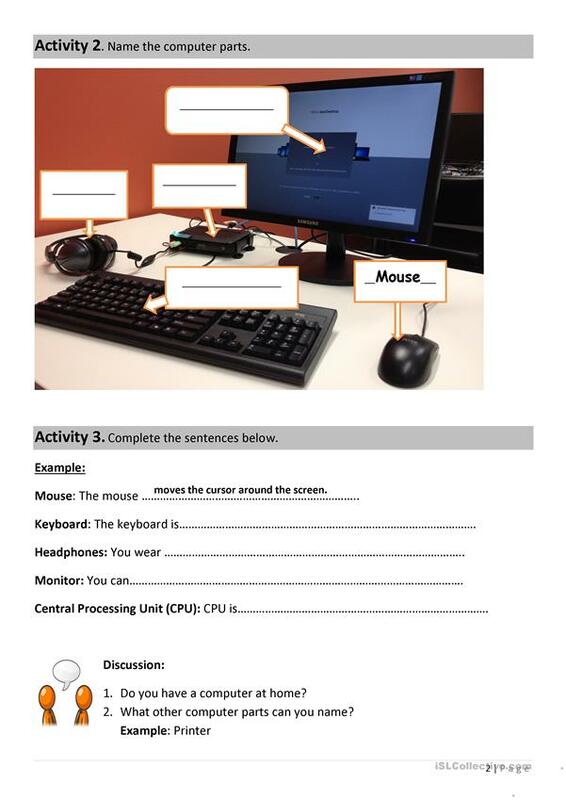 The above downloadable handout is best suited for adults at Beginner (pre-A1) and Elementary (A1) level. 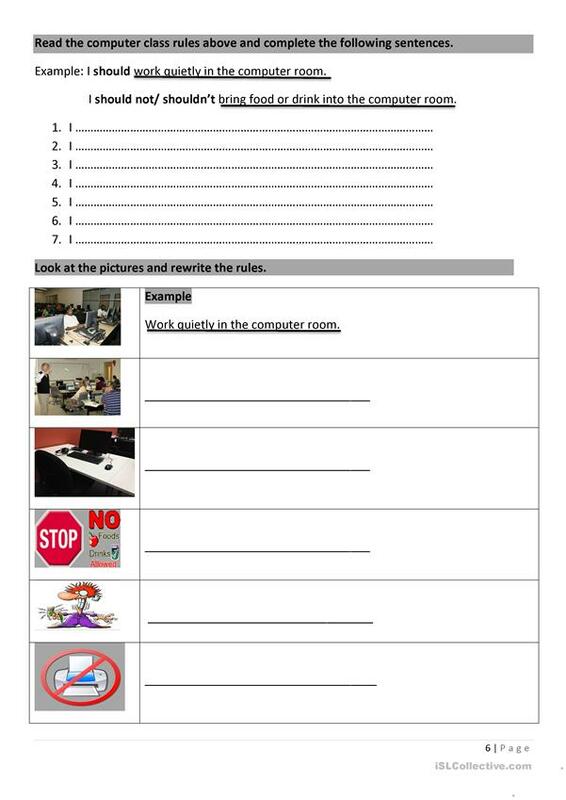 It is useful for enhancing your learners' Spelling, Speaking, Reading and Writing skills.